In recent years, the rice bran oil industry has developed more and more, but there are still some technical difficulties and bottlenecks in the preparation and refining process of rice bran oil, which greatly limits the speed of industrial development. China is a large rice producing country, with annual rice production accounting for about 30% of the world's total production. Rice bran - as a major by-product of rice processing, contains a large amount of oils, proteins, carbohydrates and active substances such as phenidin, phytic acid, inositol, and keratin. It has the characteristics of large yield and high development value. The rice bran oil extracted from rice bran contains about 42% oleic acid and 38% linoleic acid; in addition, it contains a lot of free fatty acids, phosphorus, wax and other substances, which affects the taste and color of the oil, so the rice bran oil needs to be refined. Only edible. Long-term consumption of rice bran oil has a certain effect on the prevention of cardiovascular and cerebrovascular diseases. Rice bran is still a renewable resource that has not been fully exploited. Today, with the development of science and technology and social progress, the research efforts of domestic and foreign enterprises on the production and processing technology of rice bran oil have increased. In this paper, a comprehensive review of rice bran stabilization treatment and extraction and refining of rice bran oil is given, in order to provide a certain theoretical basis for the development of rice bran oil industry. Rice bran is composed of a peel, an ectoderm and an aleurone layer. Rice bran contains a large amount of unsaturated fatty acid esters and rich beneficial substances such as phenidin, phytic acid, oryzanol, and protein. Rice bran has an oil content of about 20%, of which about 72% are unsaturated fatty acids, mainly oleic acid and linoleic acid. Linoleic acid is an essential fatty acid that cannot be synthesized by the human body and can only be taken from food. Rice bran is rich in lipolytic enzymes and oxidases, which are easily rancid and unsuitable for storage. Therefore, most rice bran is used as animal feed. With the advancement of science and technology, the use of a variety of techniques to treat rice bran can improve the stability of rice bran and prolong the storage time of rice bran, making rice bran a good raw material for oil processing. Extrusion technology refers to the use of high temperature and high pressure working conditions of screw extruder to squeeze, heat and puff the rice bran, so that the peroxidase and lipolytic enzyme in rice bran are effectively inhibited, thereby reducing the microbial activity. technology. The chemical method is a method in which the pH of the rice bran is changed by a chemical reagent so that the pH of the enzyme is outside the optimum pH. The rice bran is usually treated by an acid method or an alkali method to lower the activity of a lipase or the like in the rice bran, thereby inhibiting the enzyme activity and preventing the rancidity of the rice bran. Compared with other methods, the chemical equipment is simple and the processing speed is fast; but only when the processing is very cautious, the ideal effect can be obtained. 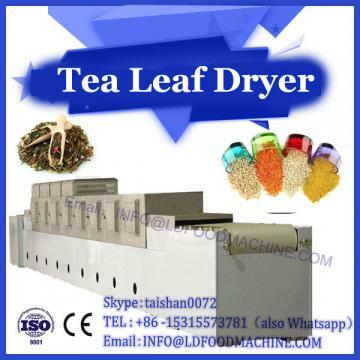 Treatment of rice bran with high temperature steam is a traditional method of stabilizing rice bran. The specific operation is to adjust the moisture of rice bran to 17%, heat it at steam at 105 °C for 2 h, and then dry the water. This method achieves the effect of slowing down the hydrolysis of oil by inhibiting the activity of the enzyme. 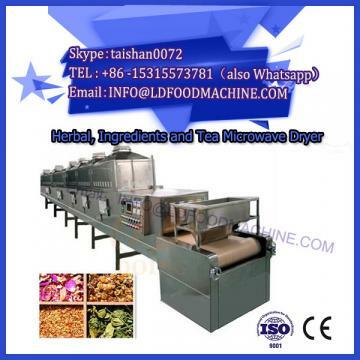 Microwave treatment of rice bran has the advantages of uniform heating, short time required, energy saving and emission reduction.